Not one, but two: One year anniversary weed celebrations this weekend! When it rains, it parties. 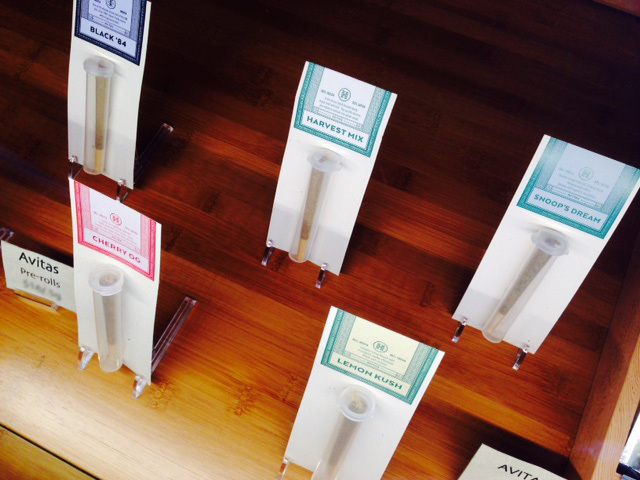 This weekend, two recreational marijuana stores will celebrate their one-year anniversaries. Both stores will celebrate at different times so you can attend both if you want! 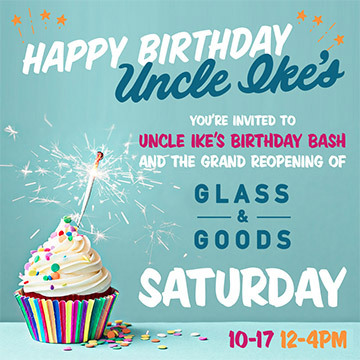 ‘Happy Birthday Uncle Ike’ is coined to be an ‘epic party.’ Spot (edibles), Fairwinds (tinctures), X-tracted (premium concentrates), Trail Blazin‘ (flower), and Avitas (flower and concentrates) will all be on site. Live entertainment includes: DJ sets, fire-eating clowns, food trucks, vendor exhibits, kettlecorn, and a fortune teller. And if that’s not enough, there will be a mechanical joint that you can ride! Oh, and the newly remodeled Uncle Ike’s Glass & Goods will have it’s grand reopening. Shoppers will save 10% off all regularly priced items in BOTH SHOPS, and 5% of all sales during the event will benefit Planned Parenthood. The party begins October 17 at noon and ends at 4pm. For more info, click here. DISCLAIMER: This product has intoxicating effects and may be habit-forming. 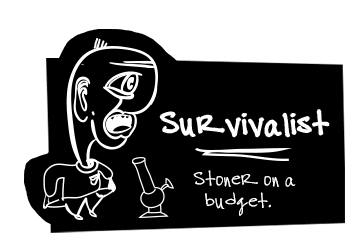 Marijuana can impair concentration, coordination, and judgment. Do not operate a vehicle or machinery under the influence of this drug. There may be health risks associated with consumption of this product. For use by adults twenty-one or older. Keep out of the reach of children. 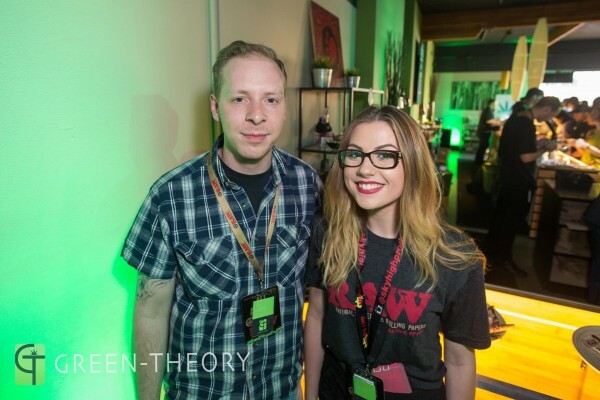 Green Theory is celebrating their one-year anniversary all weekend long. Green Elite members will get 20% off all anniversary sponsors Friday thru Sunday and receive double points on purchases. 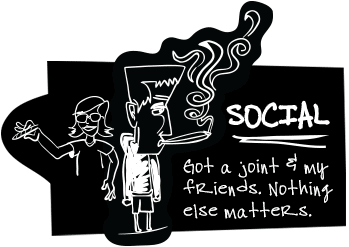 $5 joints, $8 grams, $6.50 grams on Sunday, and blue specials all weekend long. In addition, a celebration party will be held between 7-10pm on Saturday, October 17. Sponsored producers and cannabis companies will be on-site to educate attendees about their product and introduce exclusive items. Sponsors include: Vuber, Ethos Extracts, Jackpot Seaweed, Artizen, X-tracted, Juju Joints, Zoots, The Goodship Co., Liberty Reach, Monkey Grass, Lucid, and Sub-X. And if that’s not enough, how about popular DJ Quest spinning house, reggae and lounge, snacks and horderves by Suite Lounge, non-alcoholic beverages, and caricature drawings. 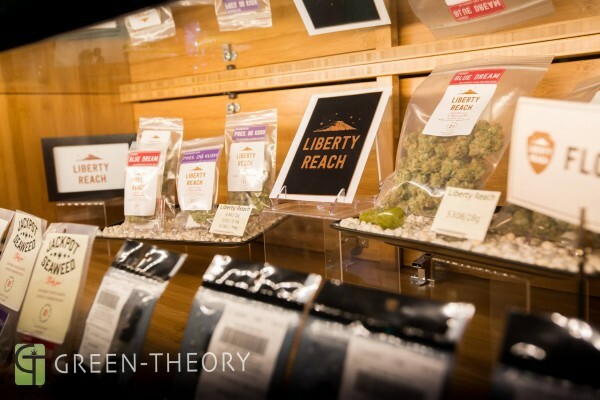 Oh, and stop by this Friday night between 4-7pm as Green Labs, producers of flower, concentrates, and edibles, will be on site, along with a massage therapist! Disclaimer: Uncle Ike’s and Green-Theory are HighAboveSeattle.com advertisers. And they know how to party. Thunder rumbles, lightning strikes, and a dark castle is seen on the horizon. Picture panning past dead trees and cackling crows to a lone window at the top of the highest spire. Bach’s Toccata and Fugue in D minor emanates from the stone itself as we pass through that lone window into a candle-lit room with nothing but a giant chair, turned away from you. Spoiler alert: it’s me in the chair, it’s a swivel chair, I’ve got a Dracula cape on, and I’m smoking Black Haze. This is the first swivel chair reveal we’ve had on High Above Seattle, and it’s all because of a fantastic marijuana strain. 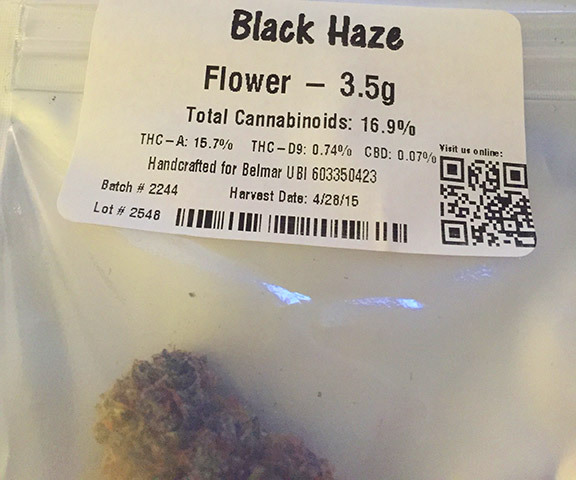 In all seriousness, Black Haze is made by Washington producer Pioneer Nuggets. 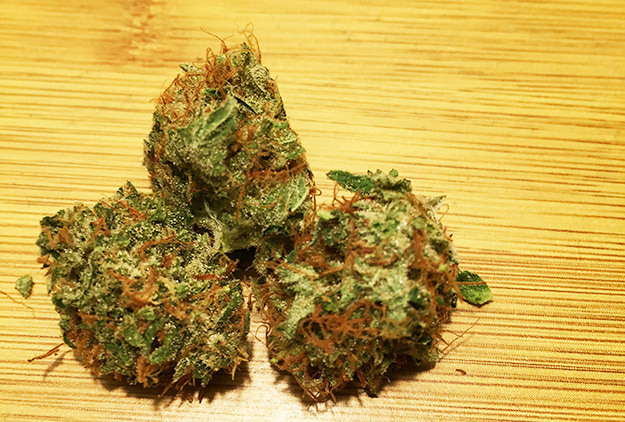 We obtained the recreational nugs from Bellevue’s BelMar, a little shop that I’m fond of (also available at some of our other Seattle area favorite retailers: Clutch Cannabis and Uncle Ike’s. Pioneer Production and Processing’s craft brand of cannabis is grown in a state-of-the-art system utilizing technologies created over two centuries. 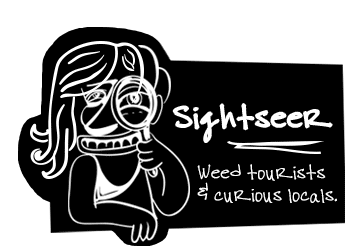 We are an indoor craft agriculture company that supports the adult retail consumer industry for cannabis in Washington State. The website itself is easy to use, and has all the necessary information. There are characteristics pdf’s for each strain they produce, which is (in this author’s opinion) exemplary customer service. The more you can show me about your strain, the more I want to buy it. This. Weed. Looks. F***ING. DELICIOUS. Correct me if I’m wrong, but those deep purple and green nugs are mouth-watering. The red hairs and crystals form a “crust of wonder” (it’s really the only way to say it). This weed will haunt your dreams and nightmares, in the best way possible. 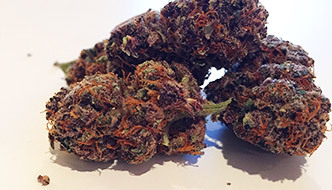 Black Haze has a potent floral smell, accompanied with hints of grape, and black tea. Really makes me want to make a potpourri metaphor, but you get it already. Tasting similar to the smell, there is definitely a berry-grape vibe. A little bit of spice (a.k.a. black tea), and a solid toastiness. 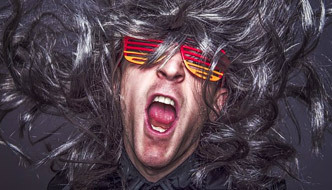 The funk taste cannot be ignored, as well – though it kind of comes with the territory. Smoking Black Haze is perfect for a summer day. The high comes on quick, and it’s punchy. Prepare to do anything and everything with this get-up-and-go strain. Burn out is minimal, so it’s ideal to come back to this bud several times throughout the adventure. Creativity is also abundant with Black Haze – so if you want to stay in and work on whatever it is you do, then create away with this light speed high. On top of doing stuff – It’s like I just wanted to wear all purple while smoking Black Haze. Seriously, I wore my deep red pants, a purple shirt, black and purple hat. Black Haze was so good that I wanted to be it. First time I’ve ever color coordinated with a strain that I’m smoking. 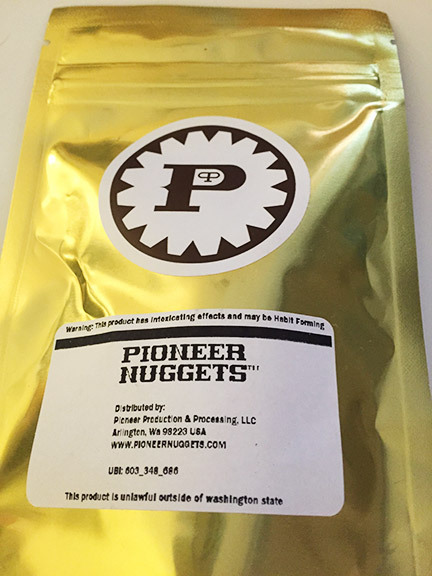 Pioneer Nuggets have hit a home-run with this strain, and High Above Seattle will certainly be on the lookout for more products in the future from this Arlington, WA producer. Thanks again for the killer Black Haze. You walk up, and the bouncer asks if you name is on the list. It is. 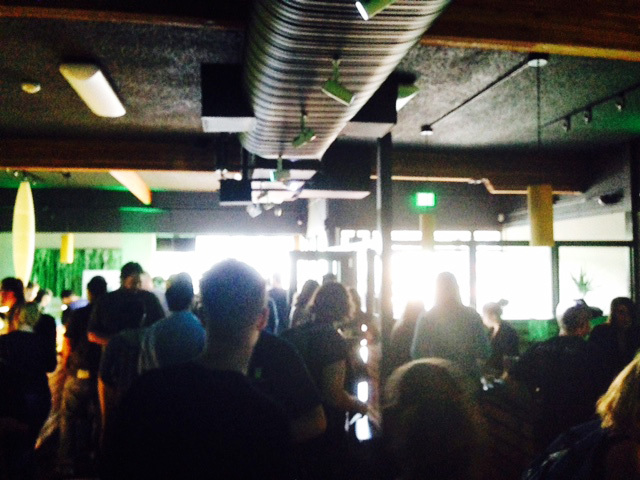 Doors open, it’s crowded and the pulse of music lays a background against the roar of conversation. A tray of artisan appetizers passes by, and everything just smells like amazing weed. Before the big event. 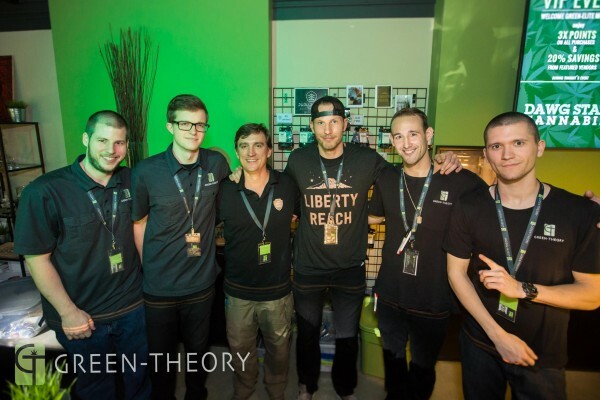 Green-Theory team with vendors. 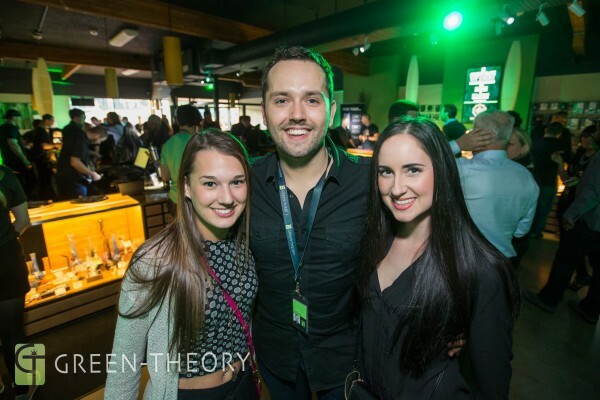 No, it’s not the club – it’s Green-Theory’s Green-Elite VIP event. 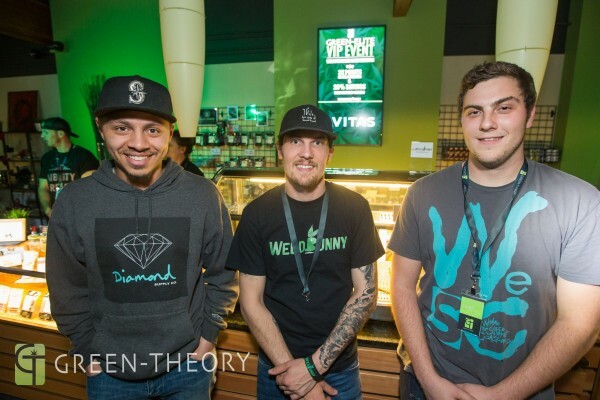 The Bellevue marijuana boutique offers frequent get-togethers for it’s Green-Elite members in which various vendors (spanning flowers, concentrates, and edibles) have “meet and greet” booths. 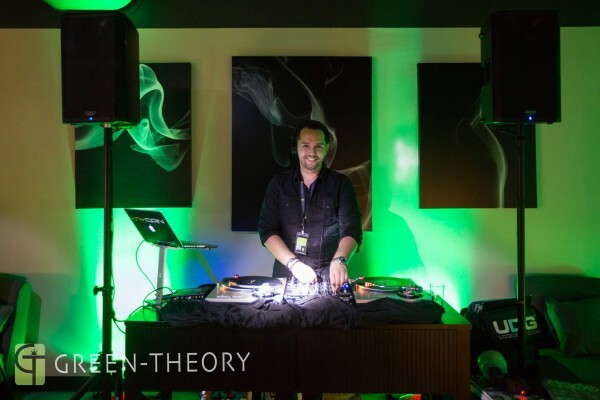 There’s a DJ (DJ Kryspin), complimentary hors d’oeuvres, and abundant savings on recreational marijuana. “Savings?” you say? 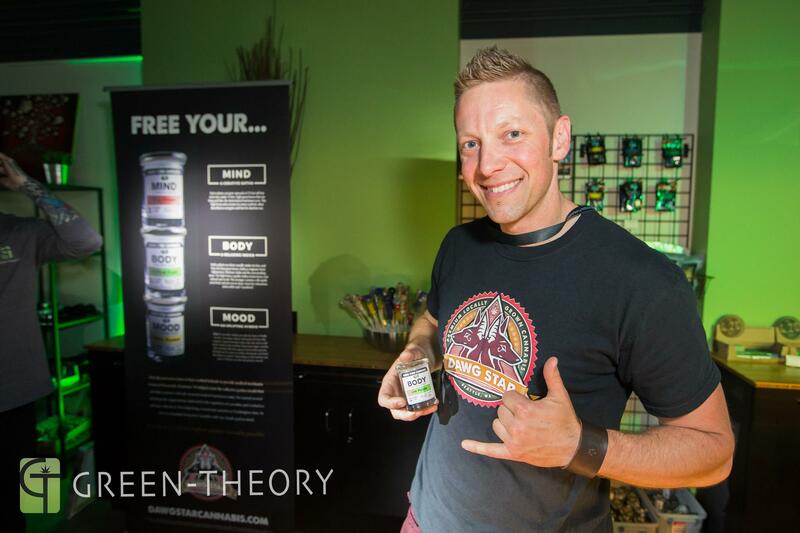 It all starts with popping by Green-Theory to become a Green-Elite member, as you can only register in-store. This loyalty program turns your purchases into rewards: buying earns points, points earn prizes. The more you shop at Green-Theory, the more you get back. 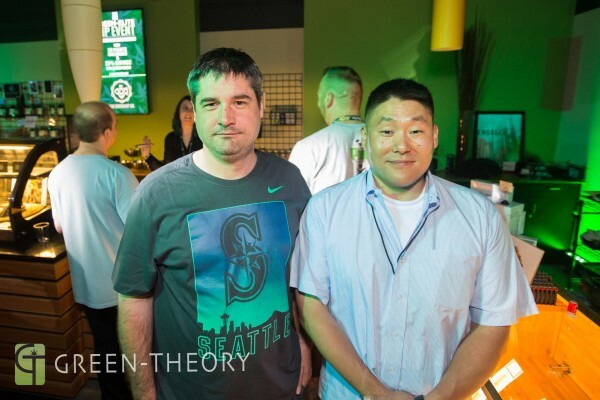 When I attended the May 7th Green-Elite VIP Event there was a 20% discount on all vendor products, and triple reward points for all purchases during the event. Incentive, much? 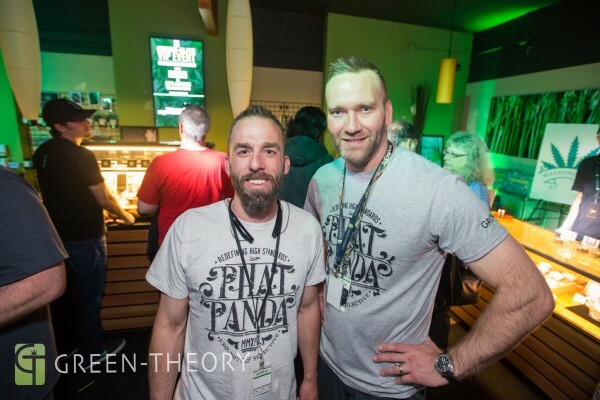 Vendors included: Avitas Ag Website, Phat Panda website, Dawg Star Cannabis, Liberty Reach website, myWeedBunny, The Goodship Company, Zoots, Smoke Emporium and Dope magazine. High Above Seattle visited all the booths, and there were many tantalizing products. 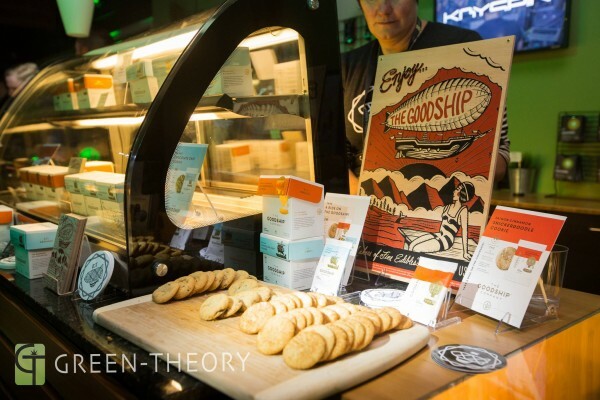 Each vendor brought a different feel to the event, and the casual environment allows for a mutually beneficial engagement between the producer, the shop and the Green-Elite member. Phat Panda in the house. It all seems a bit surreal, but then again so is the commercialization of marijuana. As someone who “consumed illegally” until I moved to the state of Washington, recreational shops are still an awe inspiring thing. 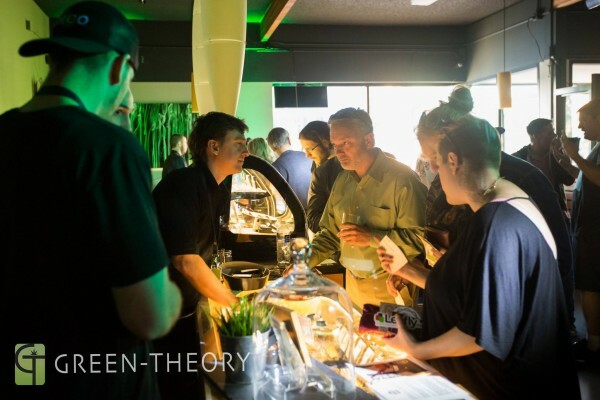 When combined with the hurdles of the black market and gouging taxes, shops like Green-Theory rise above and create an atmosphere in which their customers keep coming back. 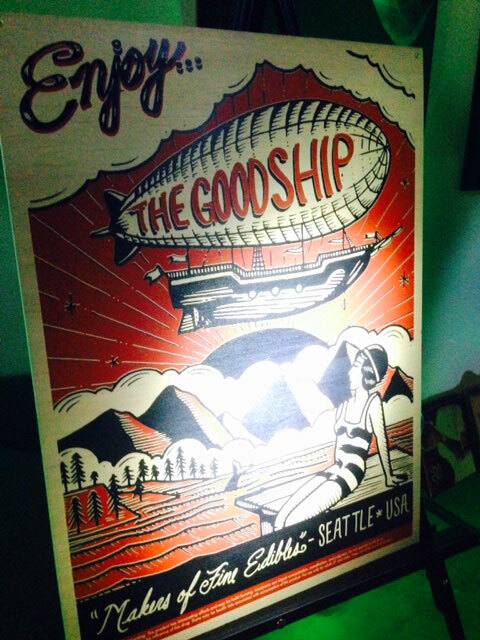 We walked out of there with some cookies from The Goodship Company, and a Juju Joint from Liberty Reach. Truly if I had the resources, I’d sample product from every booth. All in good time, though. 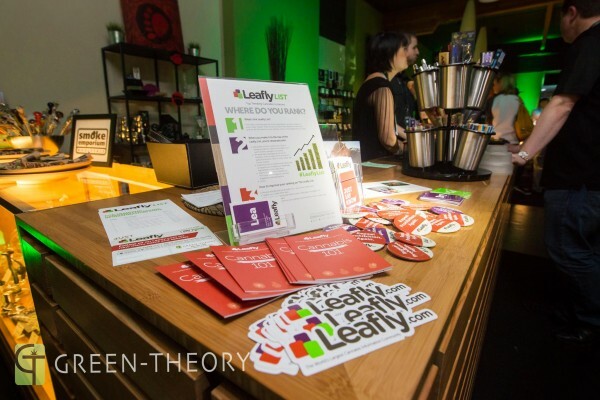 Get-togethers like this help strengthen the recreational marijuana initiative, and it’s easy to see how these events are a step away from becoming what you’d envision a marijuana lounge like. Truly the only thing missing is the ability to sample the product, but hopefully that’s a reality not too far off. 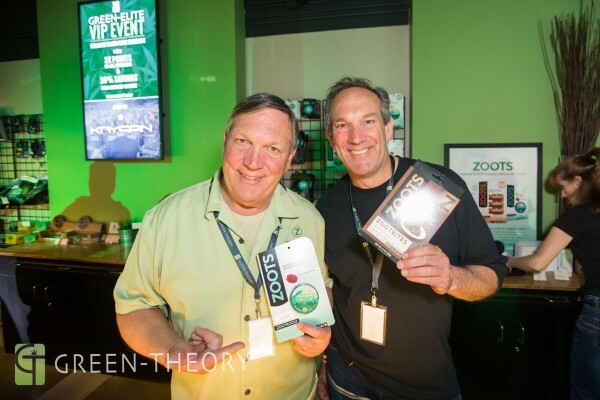 Swing by Green-Theory to procure some potent product, and sign up for the Green-Elite program to attend exciting events and get offers exclusive to members only. Dense high that takes you away from the troubles of this linear world. See you on the other side. 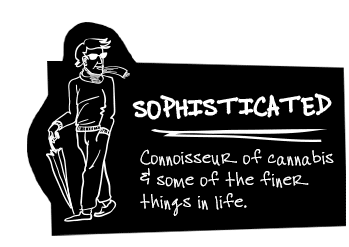 Welcome back, sirs and madams, to High Above Seattle marijuana reviews with Fischer Campbell. 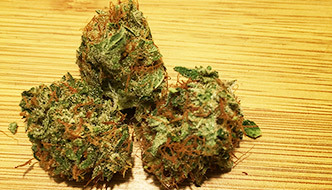 Snowland, this week’s strain, is featuring a new producer (for us) going by the name of Downtown Cannabis Company website. 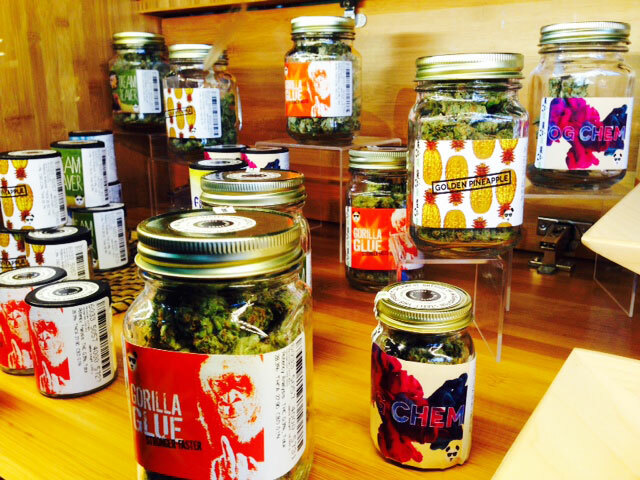 We picked it up at an excellent little shop known as Bel Mar marijuana store Bellevue (located in Bellevue). 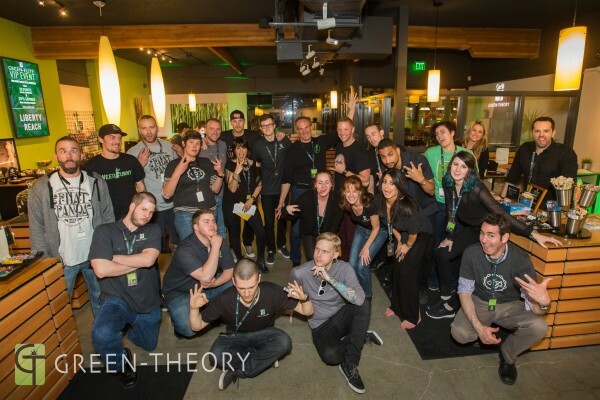 Downtown Cannabis Company is located out of Pacific, WA. Their slogan (as of October, 2014) is “mindful of the past, growing for the future…”. If this producer has anything to do with it, the future is going to be bright (and it’ll get you high as a kite, too). There is not much of an online presence when it comes to Downtown Cannabis Company (the current website is just a blank screen with “maintenance” as the header). Not a big deal, but it’s always convenient to get a more personal view of the producer’s mission and method. In terms of packaging, this producer passes the transparency test. 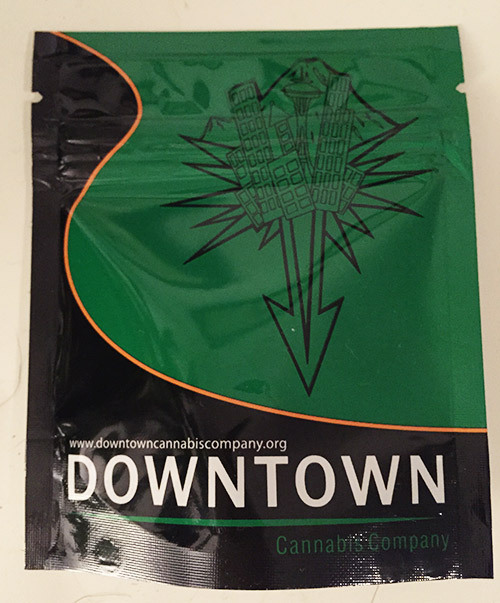 The front is a solid green color, featuring Downtown Cannabis Co’s logo (and website) – the backside offers a window into the product, letting you see the nugs within. Snowland looks fantastic, as I’m sure you can tell from the photos. 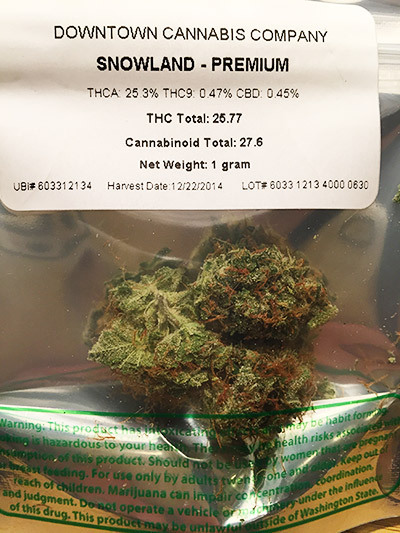 Looking at Snowland, it’s easy to see how it gets it’s title – I always like a strain with a relevant name. Crispy kief flaked nuggets, luxurious red hairs, a dark green-blue tint. When breaking up by hand, prepare for “stick to your hands” stickiness. Based solely on appearance, Snowland is exceptional. Cracking open the package, a pungent smell overtook me: pine, spice, synthetic lemon, vanilla. This strain has aroma up the wazoo. Embrace the funk. The taste mimics the smell, consisting of strong lemon and spice – yet I also detect a subtle licorice type flavor. Snowland’s high is on par with a wrecking ball (in the best way possible). Prepare to be hit by a train, and quite literally taken for a ride. 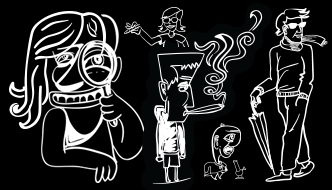 One hit is enough to send you off your rocker, but beware of repeated bong rips – as I can personally attest to getting green fever from overindulging on this strain. This would be a great herb for a festival, or a show… either that or just hanging out on the couch; any other activity would hinder you akin to the village drunk in public. A little goes a long way, Snowland is a doozy. It was the perfect strain to watch Star Wars (May the 4th be with you), and just nerd out on how bad Phantom Menace was. Hopefully Downtown Cannabis Company will get their page out of maintenance soon, and if so we will edit this article. 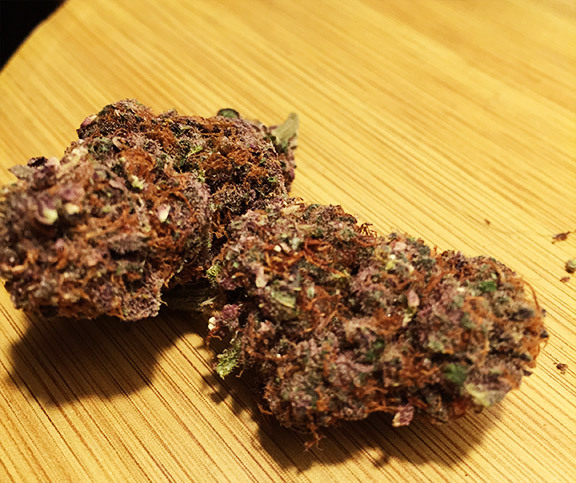 Regardless, this strain is strong and pleasant – I’d highly recommend giving it a try. 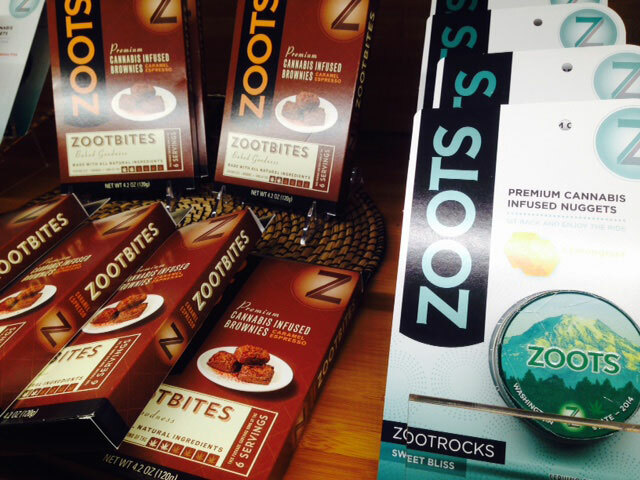 Check out our other marijuana reviews including edibles!